Bible Prophecy Reveals 162 future Events in preparing for and fighting Armageddon! Would God ask us to study a book and even promise to give us a special blessing for doing so, if we were not able to understand it? Many think they are just not knowledgeable enough to wade through a large book on Revelation, but the good news is that you can understand Revelation. That is why this site is called P.M.E. International – Prophecy Made Easy. The books, the videos, the prophetic T.V. and the Bible Courses in 10 languages make the book of Revelation EASY for you to understand! In the first chapter of Revelation Christ has promised a special blessings to those who study Revelation. DID YOU KNOW THAT OVER ONE MILLION PEOPLE NEEDLESSLY LOST THEIR LIVES IN 70 A.D. WHEN THE ROMAN ARMIES UNDER GENERAL TITUS DESTROYED JERUSALEM? They perished because they didn’t heed the prophetic warning given by Jesus in Luke 21. Only those who listened and believed His warning escaped. They fled to the land of Perea. Christ warns us that history will repeat itself. He wants you to understand His last book of prophecies, the book of Revelation, that you may be safe in the coming crisis! Notice the God implies that Bible prophecy is like the headlights of a car on a dark night. God says, “We have the prophetic word confirmed, which you do well to heed as a light that shines in a dark place, until the day dawns and the morning star rises in your hearts.” 2 Peter 1:19. UNDERSTANDING REVELATION IS LIKE DRIVING WITH YOUR HEADLIGHTS ON AFTER DARK! In September of 2010, in Wyoming, the highway patrol reported a tragic death. A university professor named Adrian Bantjes, 50, was driving a 1998 Nissan Pathfinder traveling west on the highway. Ella Young, age 82, was driving a 1998 Lincoln Town Car, eastbound. She was driving without headlights in the wrong lane. The two cars collided head-on in the westbound lane. Weather conditions at the time were clear and the road was dry. “It is not known why Young was traveling without headlights and in the wrong lane of travel. Alcohol is not suspected,” said the report by highway patrol Sgt. Stephen Townsend. We live in a dangerous world of “death without warning” by heart attacks, tornados, flood, accidents and many other reasons. Often there is no time to tell your loved ones goodbye. Life is often over in a split second. YOUR CAR’S HEADLIGHTS ALLOW YOU TO SEE ABOUT HALF A MILE INTO THE FUTURE. Nearly everybody that drives at night is smart enough to turn on his or her headlights. Ella Young was either “foolish” or “confused” but either way her choice to drive without headlights resulted in a terrible tragedy! PME INTERNATIONAL will help you turn on your spiritual headlights of hope and knowledge. We will light up the future for you like the headlights of a car reveal enough of the future to allow you to travel down the highway without hitting a deer, car, a truck, or a person. You will be able to better face life and death decisions. Our goal at PME INTERNATIONAL is to help you succeed in this life and be ready for the life to come. Christ divided all living Christians into two groups, the WISE Christians and the FOOLISH Christians in Matthew 7 and in Matthew 25. Christ reveals that many who claim to be His followers are living FOOLISH lives and that unless they repent and become WISE Christians will be forever “SHUT” out from His kingdom and from eternal life. See Matthew 7:19-27 Matthew 25:1-13. PME INTERNATIONAL is dedicated to helping you find true WISDOM and understand the great prophecies of God’s Word that you may make “WISE” decisions and be ready when Christ comes again in majesty and great power. You see, it is not enough to profess to be a Christian. To be successful we must choose to become “WISE” Christians to whom Christ gives eternal, everlasting life. In order to be the “WISE” Christians to whom God gives eternal everlasting happiness and life we must turn on our spiritual headlights by seeking to understand Bible prophecy. Rather than helping us understand Bible prophecy, popular religious novels like “Left Behind” actually blind us to the great truths of Bible prophecy. I recommend the following books that will help you understand the great prophecies of Daniel and Revelation in God’s Word. PME INTERNATIONAL IS DESIGNED TO ANSWER YOUR QUESTIONS! Our goal is to help you find a happier, better, and eternal life which will be far beyond our limited imagination! We want to help you live forever with a life that will be far richer than any billionaire and far stronger than the imaginary “superman” of the comic books and movies. God, Christ, the angels of God and all the saved through the ages will be part of the family of God and forever happy! Learn direct from your Bible where these exciting future events are located in your own Bible. 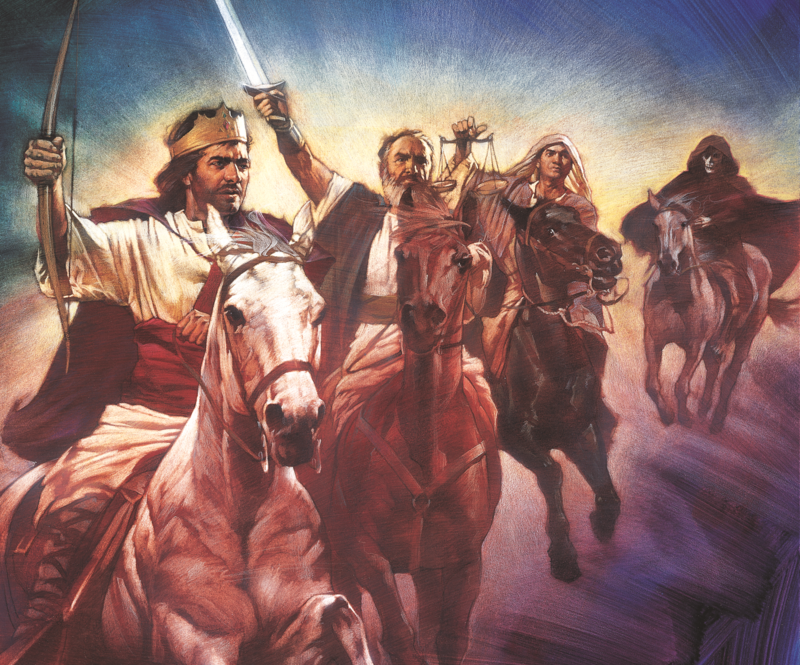 The Bible course is fully illustrated with great art work. You will understand better, after taking these short 24 lessons, reading the books, watching the videos and the T.V. prophecy programs than many ministers know after years of school. prophetic videos and Bible studies in many languages! If you study these valuable resources, you will soon know more than most of the religious leaders, pastors, and teachers know about the past, present and future as revealed in the great prophecies of the Bible.